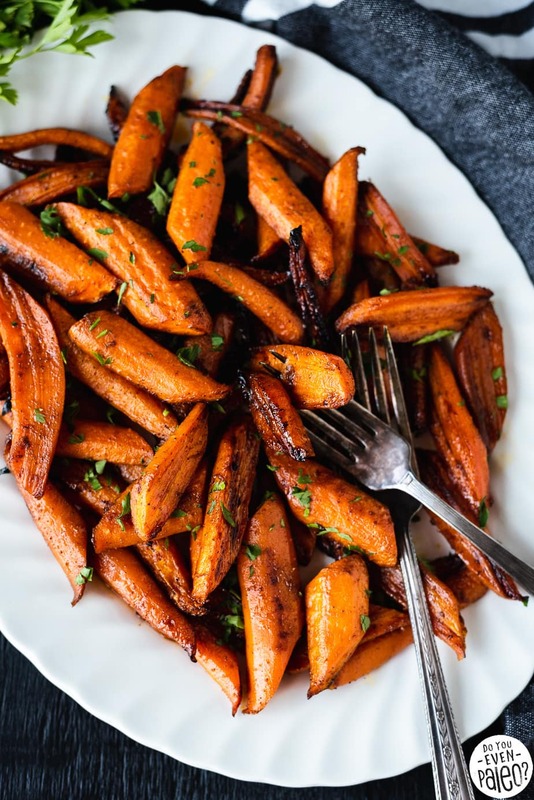 Add a little sweet and spice to your meals with this Chipotle Honey Roasted Carrots recipe! With just 5 main ingredients, these slow-roasted carrots can be on your plate in 30 minutes. When I was young, my mom occasionally made honey-glazed carrots by boiling baby carrots in a water and honey mixture. I remember those honeyed carrots as tender-sweet little nuggets, amazed that vegetables could be so sweet! 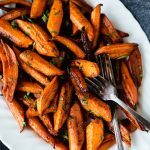 This Chipotle Honey Roasted Carrots recipe is my homage to those sickly-sweet carrots of my childhood. No boiling, no baby carrots, and a little bit of chipotle to kick things up to an adult level! You know, I was onto something when young me identified those honey-boiled carrots as incredibly sweet. Now that I don’t eat much added sugar in my day-to-day life, cooked carrots ARE surprisingly sweet. Carrot cake exists for a reason! But you don’t need to stick with baby carrots to taste the slight amount of natural sugars in carrots. Instead, you’ve just got to roast those babies so they get a little caramelized and tender. So, instead of boiling the carrots to oblivion, these mature carrots get their roast on. A little olive oil, salt, and chipotle powder coat the carrots before their time in the oven. But that’s not all. You’ll pull the carrots out midway to add a honey and apple cider vinegar glaze mixture before finishing them off. 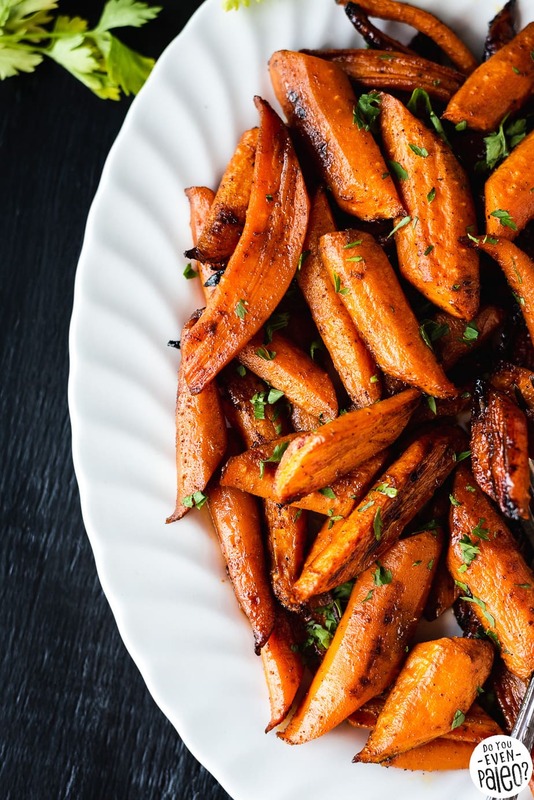 And all of that is worth it for these sweet-and-spice carrots. I’ve got a couple notes going into this recipe, though. First off, peeling your carrots is optional, but recommended. Frankly, nine times out of 10 I won’t peel carrots. I just don’t need the added step in my life. But for truly tender roasted carrots, you need that tough outer skin gone. So if you’ve ever tried roasting carrots and thought the world is crazy for enjoying them at all, try peeling them first. Next, the chipotle does add quite a kick to these carrots. So if you can’t handle the heat, lay off the chipotle. Start with a smaller amount (maybe 1/4 teaspoon) and see how you like ’em. 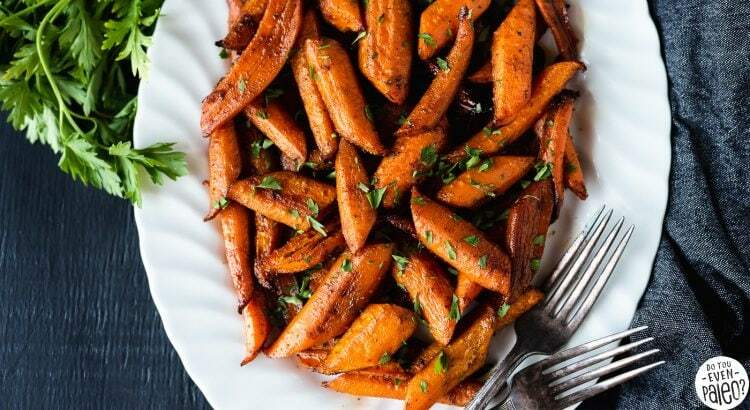 Even without the chipotle, these carrots make a fantastic side dish. Don’t fret that omitting the chipotle will ruin the recipe. That said, you’re probably here because you ENJOY the spicy-sweet combo. In that case, use the chipotle! 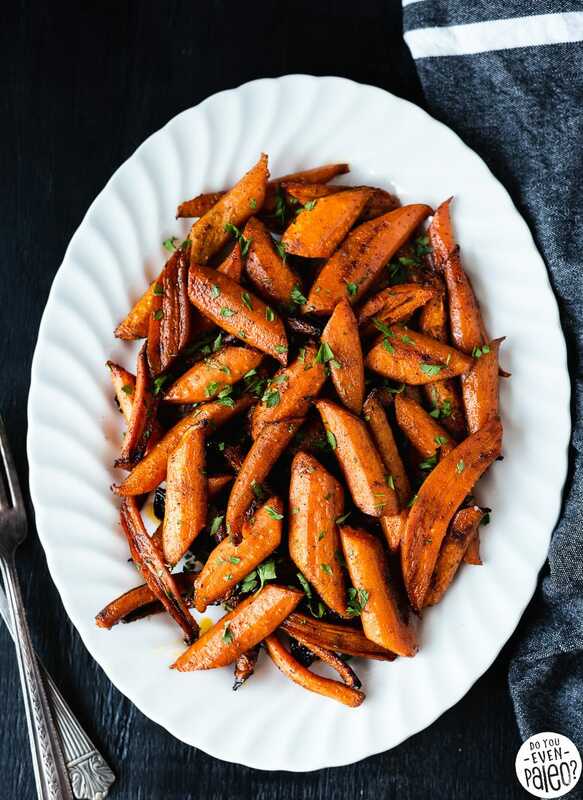 Sweet and spicy chipotle honey roasted carrots make a perfect gluten free and paleo side dish! Just a handful of ingredients add a whole lot of flavor to tender roasted carrots. Preheat oven to 400 degrees. Peel carrots, then slice diagonally into 2-inch lengths and halve the pieces. Line a baking sheet with parchment paper and dump the carrot pieces on top. Drizzle on olive oil, sea salt, and chipotle powder, tossing to coat. Roast for 20 minutes. 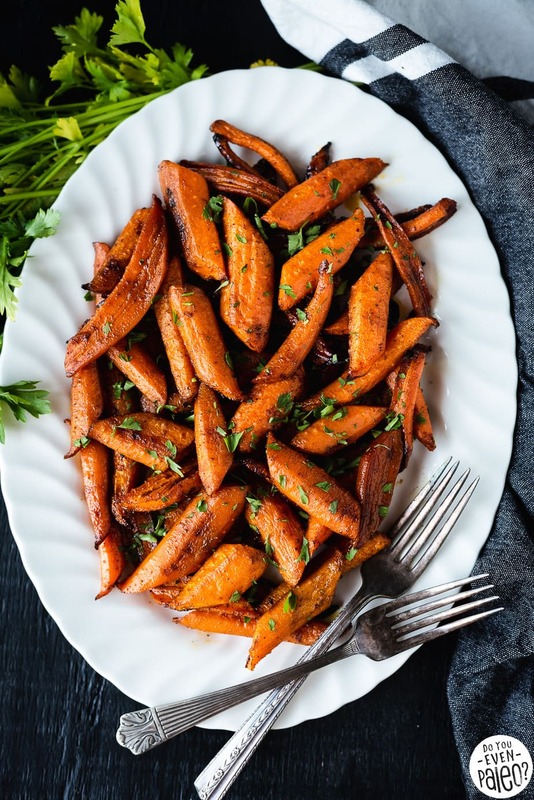 While carrots are roasting, whisk together honey and apple cider vinegar in a small bowl until honey dissolves. 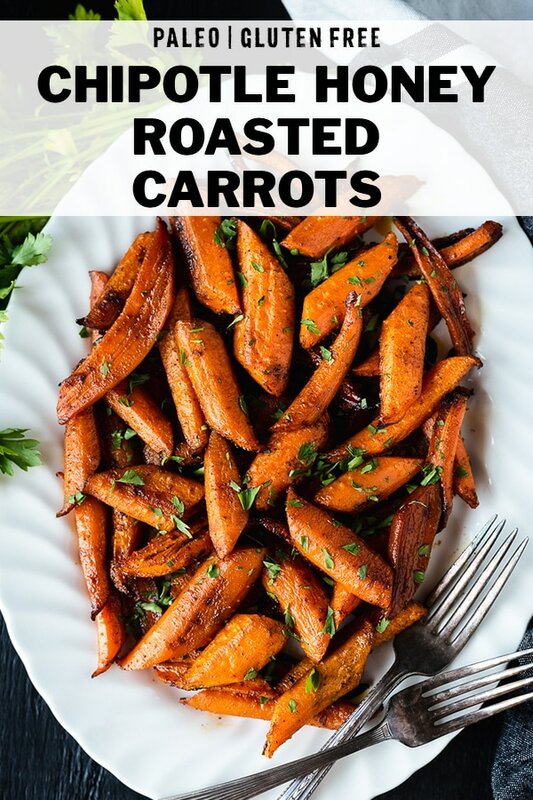 After carrots have roasted for 20 minutes, drizzle with the honey and vinegar mixture, toss to coat, and return to the oven. Roast for an additional 10 minutes. These look amazing! 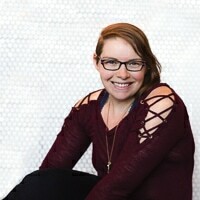 Love the grown up version, little sweet and spicy! Don't subscribe All Replies to my comments Notify me of followup comments via e-mail. 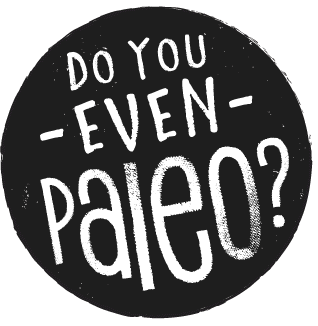 You can also <a href='https://www.doyouevenpaleo.net/comment-subscriptions/?srp=5073&srk=87505361eee98908ddf6ccb8681f50d6&sra=s&srsrc=f'>subscribe</a> without commenting.